1. The Law Office of Marc Atas and Associates offers a Free Initial Consultation for all cases. 2. In Personal Injury, Motor Vehicle Accident and Workers Compensation cases The Law Office of Marc Atas and Associates will not collect from you any Fees or Costs unless we recover money for you. 3. The Law Office of Marc Atas and Associates will never charge an attorney fee for helping you to collect your Property damage, rental car, total loss, diminished value or personal injury protection benefits unless we have to file suit to recover those specific benefits. 4. As Experienced attorneys, The Law Office of Marc Atas and Associates will help you navigate the legal system in order to achieve a successful outcome. The Law Office of Marc Atas and Associates has been helping the injured recover maximum compensation for over 38 years. 5. As Effective attorneys, The Law Office of Marc Atas and Associates will exhaust all effort and leave no stone unturned in order to secure all the benefits you are entitled to. 6. As Accessible attorneys, please call whenever you have a question. The Law Office of Marc Atas and Associates promises to take your call when available in the office and will return calls either in the same day or within 24 hours. The Law Office of Marc Atas and Associates welcomes your calls. As part of the job of an accessible attorney, The Law Office of Marc Atas and Associates will educate clients during the legal process. To someone unfamiliar with the legal process, understanding complicated legal concepts such as negligence, assumption of risk, causation etc. can be overwhelming. Negligence alone is a full year course in law school. The Law Office of Marc Atas and Associates welcomes any legal questions you may have. 7. As Compassionate attorneys, we will care about you and your needs. At the end of the day, the only thing that matters is the way that we help our clients. You are, and will always be, our number one priority. 8. As Considerate attorneys, we will treat you with respect and never take a client for granted and always appreciate your business and loyalty. 9. We will always be Ethical. Beware, an unethical attorney will have no reservations cheating you. 10. We will represent you Aggressively. The reason why is simple: It’s how we get the best possible results for you. It’s how we ensure large companies don’t take advantage of our clients. We’re not afraid to stand toe-to-toe with massive companies in the name of justice. We will do what it takes to protect you and fight for the compensation you deserve. Mr Atas has been my attorney for many years, after I was injured on the job. Many times he has gone to bat for me against Baltimore County’s Workers Compensation. His office help is also so amazing they are very courteous and helpful. Mr atas is a very good lawyer that I recommend for anybody that needs his service,he represented me in a case and I was happy with the outcome. We have been very satisfied with This office. They are very proffessional and friendly bit most of all they are right on top of your case I would recommend them to anyone in need of a personal injury. I am beyond happy with the services provided by Marc Atas Law! The staff were friendly, professional, and knowledgeable. They answered/returned all of my phone calls. If I ever need an Attorney again, I know where to go! With his superb knowledge base and client-first mentality, Attorney Atas produces results. His clients are fortunate to have him in their corner. I endorse this lawyer. I endorse this lawyer. He is committed to excellence, highly praised by his clients and well respected by the legal community. Mr. Atas is a very experienced and effective attorney who fights for his clients. I endorse him for any of your personal injury needs in the Baltimore Maryland area. I endorse this lawyer. Very helpful information is provided by Mr. Atas for users and attorneys as well. If our NYC firm has a question about Maryland law, Mr. Atas is our only phone call. $100,000.00-Plaintiff was a passenger in defendant’s vehicle when Defendant fell asleep and went off the side of the road and struck a tree. Plaintiff had head injuries and broke his leg. Case settled for policy limits. $2,250,000.00- Plaintiff at the time of the accident was in her 30’s, married, had 3 children and was 7 months pregnant with a viable fetus. Both mother and fetus died as a result of the accident. $100,000.00– On 4-7-13 Plaintiff was eastbound on Route 40 and told the police after she entered the intersection the light turned yellow. That was all she remembered. When she woke up she was at University of Maryland Shock Trauma. Her injuries included right ankle fracture, fracture of the right wrist and a neck fracture of C2, Plaintiff was a diabetic. $250,000.00- Plaintiff was riding his motor cycle when he was cut off by Defendant who was exiting from a side road. Plaintiffs suffered numerous injuries including a fractured leg which required numerous surgeries. Medicals exceeded $50,000.00. Case settled for policy limits. DO I HAVE TO GO TO COURT IN A PERSONAL INJURY OR AUTO ACCIDENT CASE IN BALTIMORE? HOW LONG DO I HAVE TO FILE A CLAIM IN A BALTIMORE PERSONAL INJURY OR AUTOMOBILE ACCIDENT CASE? I HAVE BEEN INJURED ON THE JOB, NOW WHAT? CAN I BE FIRED FOR FILING A WORKERS COMP CLAIM IN MARYLAND? HOW LONG CAN I RECEIVE WORKERS COMP BENEFITS IN MARYLAND? The Law Offices of Marc Atas and Associates has demonstrated great success representing individuals and their families in Auto Accidents, Personal Injury, and Workers Compensation. Our legal team is second to none. We utilize the benefit and advantage of over 38 years of trial experience to fight for you in court. We devote the same effort, hard work, and preparation in each case, regardless of the magnitude of the matter. We know that every case is very important to the clients involved, as well as their families, and we consider it our obligation to protect those interests. The Law Office of Marc Atas and Associates is dedicated to creating real solutions one client at a time. Our law firm will keep you updated, provide personal service, promptly return your phone calls, and help protect the best interests of you and your family. Let’s be honest: no one likes hiring a lawyer. It is considered by many to be a distasteful necessity of life. Contrary to popular belief, not all lawyers are the same. Asking these questions will help you select the right lawyer and, in the long run, save you a lot of aggravation and grief. 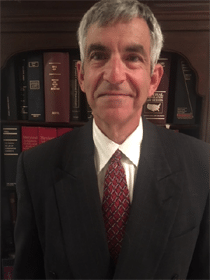 Attorney Marc J. Atas has compiled a list of the most frequently asked general attorney questions. Workers Compensation Attorney Marc J. Atas has compiled a list of the most frequently asked questions. Personal Injury Attorney Marc J. Atas has compiled a list of the most frequently asked questions.